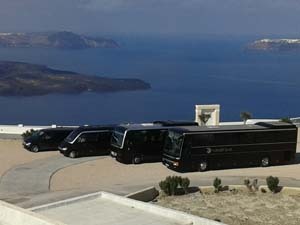 Transfer & Tour Company based in Megalohori, Santorini. We are a valuable partner for the tourist and visitor of the island of Santorini. 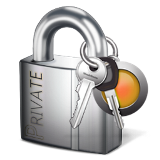 Absolutly professional we are the suggestions and solutions for your comfortable and reliable transportation. Making trips to all the beautiful corners of the island, for “seafood”, caldera tours and the organization of your stay on the famous island of Santorini. We cater to your needs in the most reliable way. Transfer Company was created in order to make your stay on the island even more comfortable and relaxing without the stress of traveling and to contribute with its high quality tourist services to the creation and enjoyment of all the emotions offered by Santorini. For transports, excursions and vip services, there is a fleet of modern, air-conditioned minivans, buses, limousines with experienced drivers that transport you safely, comfortably and reliably to and from any point of the island, at any time of the day if you wish. Undertaking transports, excursions and your stay on the island of Santorini. Consequently, full of ideas, suggestions and solutions that can make your stay on the island of Santorini even more beautiful, relaxed and without losing its “spit” from its magic and beauty. The team of Santorni Travel creates with you the excursion you want to make, undertakes to safely and consistently transport you to any point of the island and suggests what you are looking for for your stay.